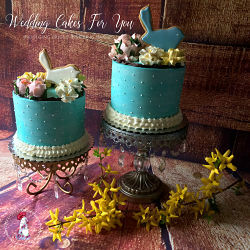 Whimsical wedding cakes are fun for a wedding. 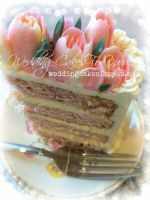 From Alice in Wonderland to Dr. Seuss you can find all kinds of inspiration for a crazy cake design here. 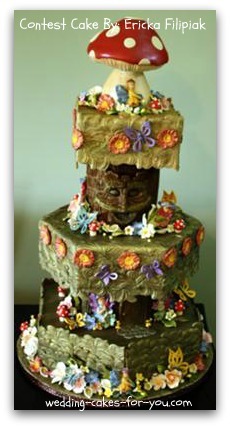 Wedding cakes can be anything that you can imagine. 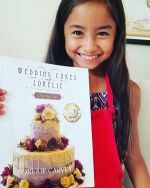 If you have been watching the wedding cake challenges on the Food Network, you can see that the cakes are getting increasingly extravagant. 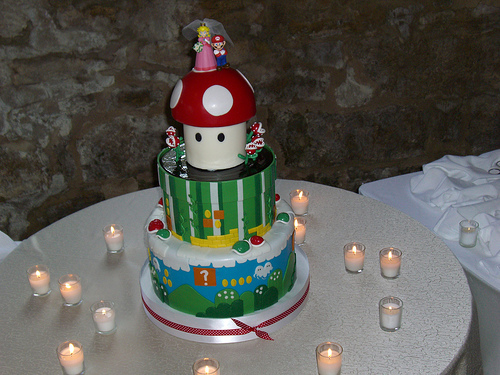 The cake to the left is full of whimsy. It is a cake by Laura Mansfield of Bracknell Berkshire, a visitor to this site, who won a prestigious award for this amazing creation. 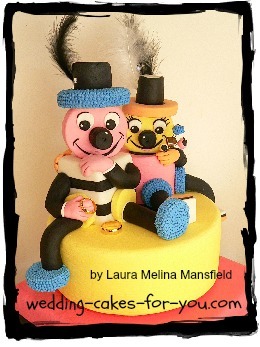 Click on the photo to read the story behind Mr. and Mrs. Allsorts. 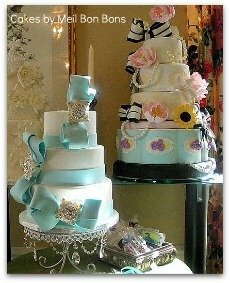 My first experiences with these topsy turvy wedding cakes were the Dr. Seuss/Alice in Wonderland types like the ones pictured here. 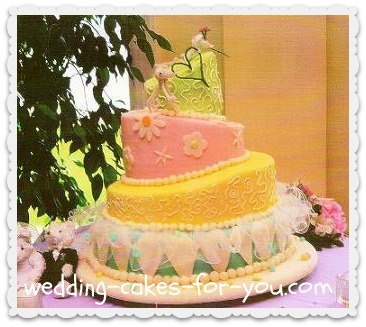 Most are fondant wedding cakes, because fondant lends itself well to creativity. 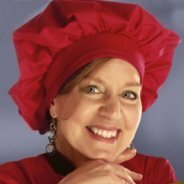 There is a page dedicated to just that. 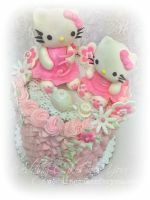 Go to the fondant decorating page for methods and more ideas? 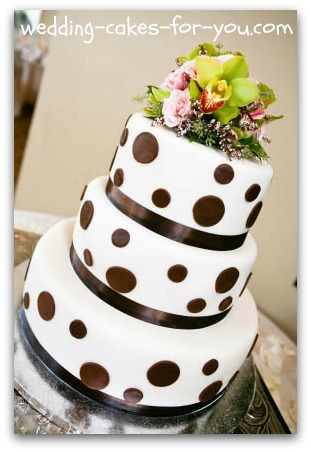 The polka dot design is fun for a wedding celebration and this design is fairly trendy right now! Another example below. 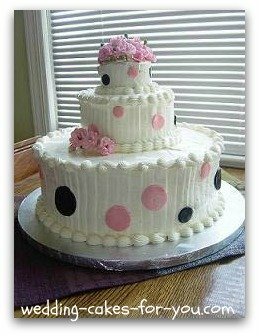 The pink and black polka dot cake below was for a wedding shower but it could very well be used as a small wedding cake. 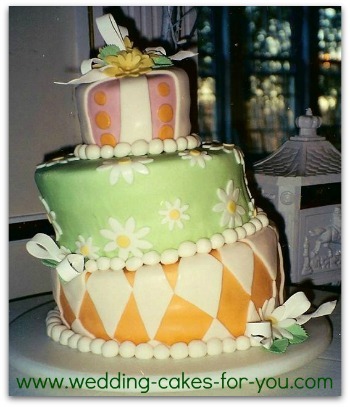 The three tiered fondant wedding cake below was a first time Topsy Turvy for me. It was quite a challenge. Literally carving each tier to fit onto the one below was difficult to say the least. This is before special stands were in use. 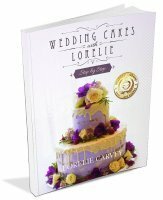 I now use and highly recommend Cake Stackers special Topsy Turvy supports. The Dr. Seuss cake below was an original design, also made before special stands for these types of designs. The bride added the topper, which is made with pipe cleaners. Cute. 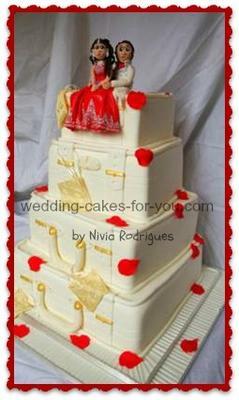 The tulle was added for effect and has piping of royal icing around the edges.